Application - sauce, shampoo, body wash, emulsion. Filling range from 200ml to 1000ml. 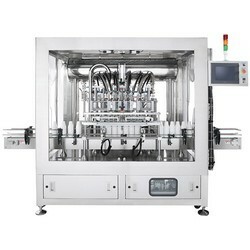 Volumetric filling system by piston pumps, driven by servo motors.